There’s a good news for immigrant entrepreneurs! 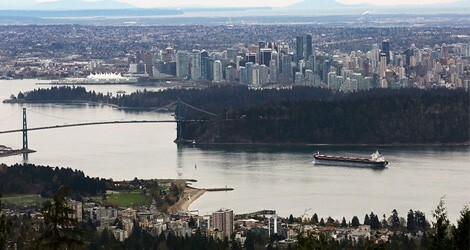 Recently, British Columbia has announced a new immigration pilot program for foreign entrepreneurs to smaller communities around the province. This two-year program known as the Entrepreneur Immigration Regional Pilot will launch in early 2019. In this pilot, the British Columbia Provincial Nominee Program (BC PNP) will collaborate with regional communities of less than 75,000 people to welcome foreign entrepreneurs to start businesses and create jobs. To get eligible for the program, communities must be located more than 30 kilometers away from an urban area of over 75,000 people. This initiative is intended to maximize the economic benefits of small regional communities who are dealing with economic and demographic challenges. This program will benefit both the entrepreneurs and the communities. Businesses will be created to address the specific needs of the participating communities and, in exchange, the communities will help and support the entrepreneurs to settle. Before registering for the pilot, the interested entrepreneurs need to obtain a community referral and complete an exploratory visit to the community where they want to establish their business. Selected candidates will be provided with a temporary work permit. Once your business meets all the criteria mentioned in the Performance Agreement, BC PNP will issue a nomination for permanent residence. During the exploratory visit, entrepreneurs will have to present their business proposals to the community’s designated pilot representative. The representative will then submit a referral form to the BC PNP. All candidates will obtain a score after registration and the highest-scoring candidates will receive an invitation to submit a full application to the BC PNP. The registrations for the program will open in early January and will run for two years initially.